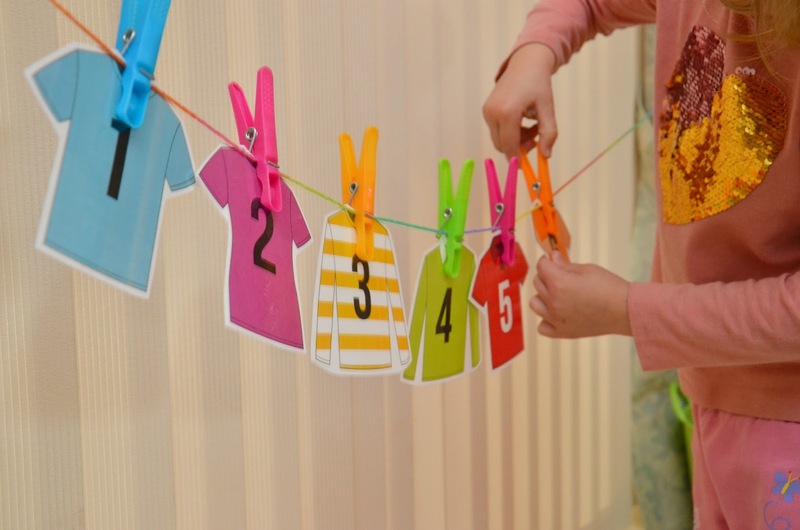 Did you know that there are several aspects to consider when teaching early number concepts to young children? It's not just about how high they can 'rote' count by memory, or writing the numerals (some would argue that is a handwriting skill, not a mathematic skill). 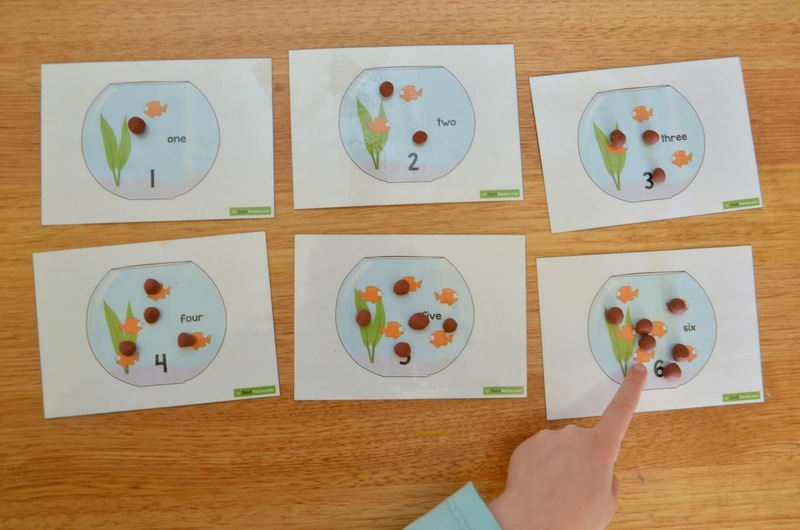 It's much more about their understanding of number, grasping what a group of '3' looks like, understanding words such as more or less, and counting a small group of objects using one to one correspondence. In preparing Miss M for the start of school next year, this week I downloaded some great resources from Teach Starter. Where you'll not only find excellent resources for school aged children - but some fantastic resources for preschoolers as well! 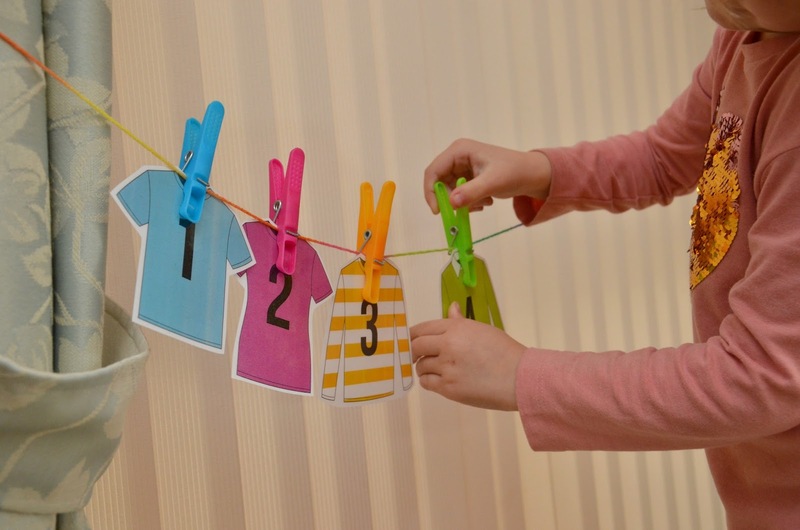 Here are 5 of my favourite number activities. This is a sponsored post as part of my Brand Ambassadorship with Teach Starter. Use the answer sheet to help them if they are stuck! 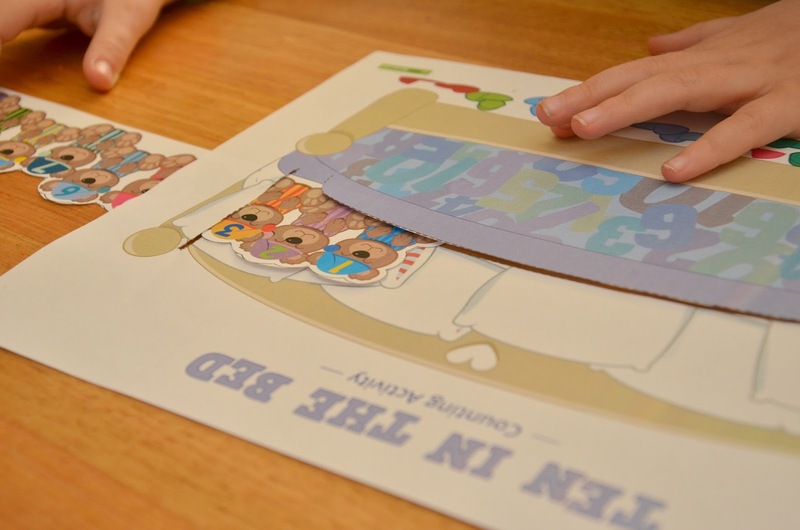 This is one of my favourite finger play songs to do with small children - I always used to get 5 students to stand out the front of the class and one by one they would 'jump' into the pool (where it was nice and cool - have you got the song in your head now?). This resource come in either black and white or coloured and is a fantastic hands on way to recreate the song. 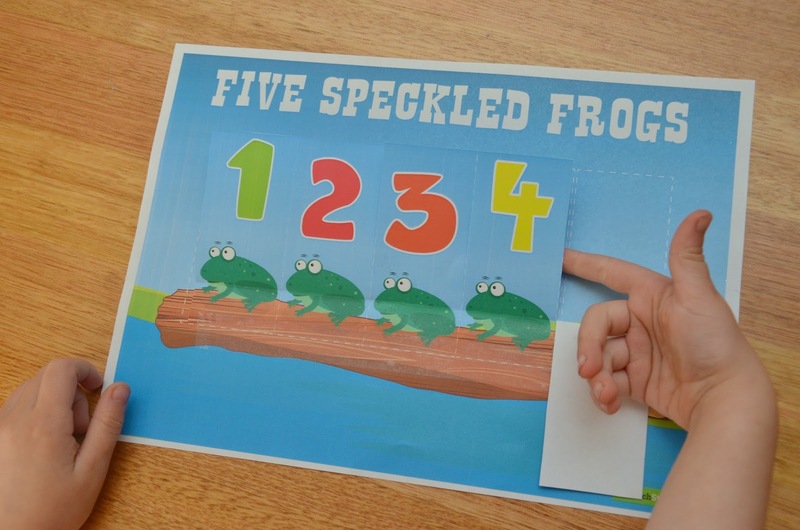 Firstly cut along the number strips (make sure you stop at the log) and then stick the bottom edge of the frog sheet onto the log sheet. As you sing the song, one by one the frogs get folded down as they 'jump' into the pool. There is also a more difficult version where the numbers 1-5 are mixed up - so the child needs to recognise the numbers and fold each frog down in order. Teach Starter you have thought of everything! How cute are these fish bowls? I decided to make this into a play dough activity for Miss M. After printing them out I just laminated the 1-10 sheets for her to make play dough fish food to place on top of each fish. It was a great experience for her as she made sure that each fish had one piece of food to eat. She even came up with the idea of squashing each ball of fish food to show that it had been eaten! 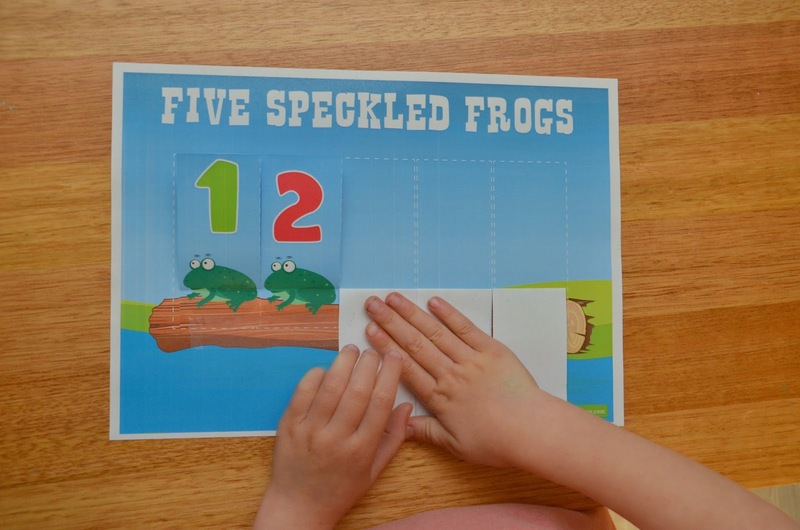 Just like with the Five Little Speckled Frogs, Ten in the Bed explores subtraction concepts with young children as they learn about taking away one each time and counting backwards from 10. 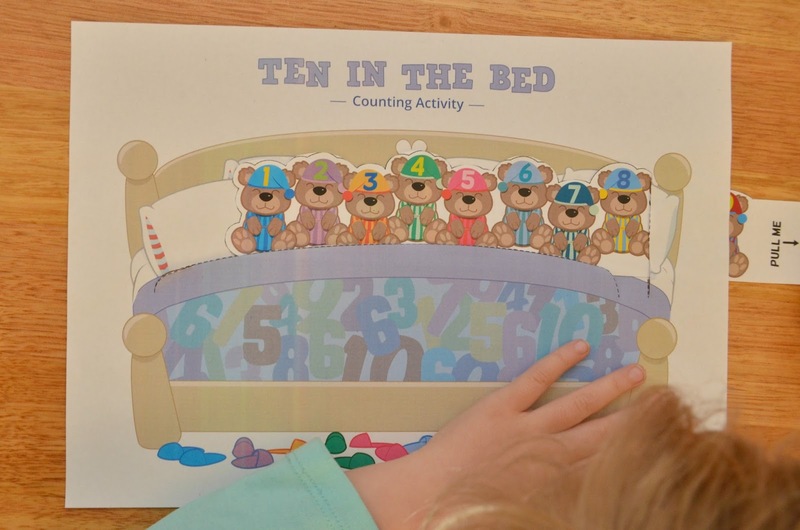 This is another brilliant hands on resource as they slide the teddy bear strip along the bed as each one falls out. How fun would it be to act this out with ten teddies? I made my own set of these number shirts years ago but the Teach Starter ones are way better! And the number clothesline is such a great activity. There's several ways to use this resource. Firstly placing them in order on a clothesline using the pegs - I didn't mean for Miss M to colour match her's but she did! Pegs are so great for fine motor development. Once they are all lined up you can take one away and ask your child to guess which one is missing (I call this "The Missing Number Game" and the kids at school really like it). 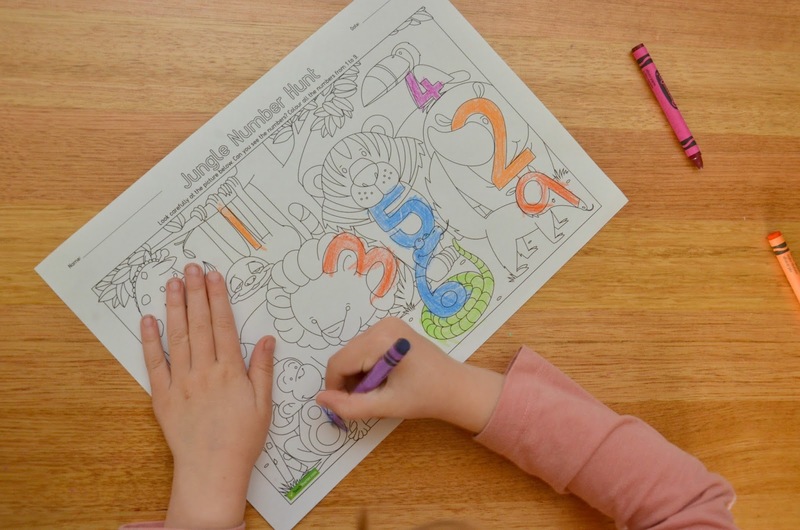 You can put the numbers in reverse order, work with teen numbers and much more! Did you find something useful from this collection? 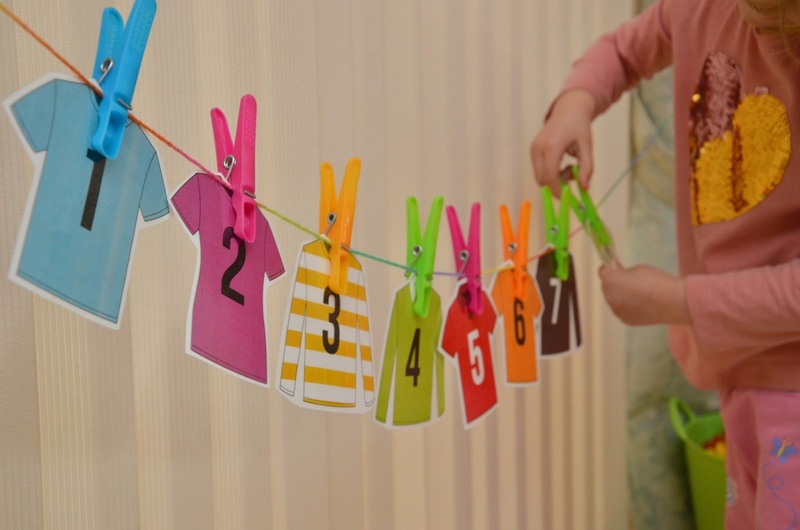 Perfect for ages 3-5 year olds who are learning how to use numbers in daily life and that numbers are all around us. PS - You might also like this list of hands on ways to learn number, and these books all about numbers and counting!